Fear not, says the LORD. 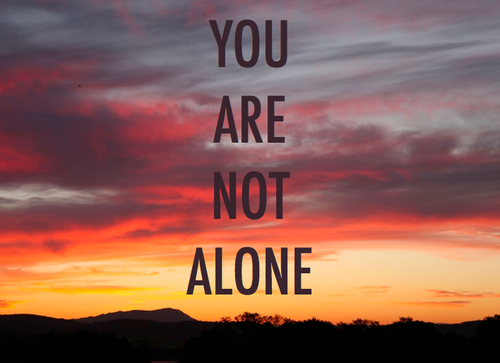 You are not alone in your struggles. I Am your assurance of success. I Am with you to guarantee your victory. For what I give you is weapons that cannot be over-powered. I cannot be defeated, and I Am the One who stands alongside of you to help you. You never have to face the enemy without My presence, My Power and My angelic host that wars with you against the enemy. I Am the Greater ONE that knows NO limits, has never been threatened, and cannot be intimidated. I have made you like Me, and have given you the Sword of MY Spirit so that you can do great feats for Me. I have shielded you so that the enemy cannot penetrate you with his diabolical weapons. I have empowered you to stand, to fight and to win, says the LORD. Fear is not an option, for I have made you a warrior of valor, and made you to be bold as a lion, says the LORD. My roar is in your mouth. You have not come this far by accident, but by Spirit that has led you every step of the way, protected you night and day, and provisioned you. I Am your keeper that has not forsaken you. You will not be pushed back by the enemy and his strategies against you will fail. I will foil his plans, expose his plots and destroy his weapons that are formed against you. You are a champion in Me, and you will not fail nor fall. For I will be with you in the fray, and as you look to Me, you will see that the enemy cannot stand against you, because he cannot withstand Me, says the LORD. All those who put their trust in Me will never be disappointed, and they will not only prevail, but overtake the enemy, take a great spoil and conquer new territory for My Kingdom, says the LORD. Thank you lord for being with me and your blessing. Praise the lord. Amen. Amen… LORD , Your greatness’s profoundity and expanse is unfathomable from human’s wisdom !! Agree in Jesus holy name.. This IS so beautiful Father-God & thank You for Your Words that dearly edify, strengthens & reassures Your children with such comfort!!!!! AAAAAAAMMMEENNNN AND AAAAAAAMMMEENNN THANK YOU HOLY SPIRIT. WOW WOOOOOOOO HOOOOOOOO AS I BELIEVE RECEIVE AND CLAIM THIS POWERFUL WORD DECLARATION IN THE MIGHTY NAME OF JESUS AND ALL GLORY TO GOD ALONE AAAAAAAMMMEENNNN AND AAAAAAAMMMEENNN!